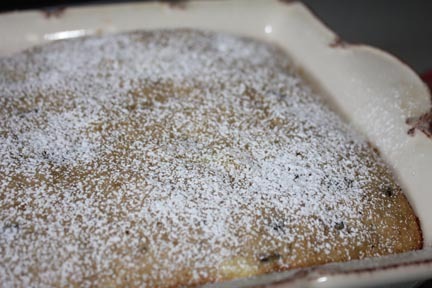 Darigold – the company with all those wonderful dairy products, shared this yummy summer recipe. Preheat the oven to 350°F. Line a baking sheet with parchment paper and set aside. 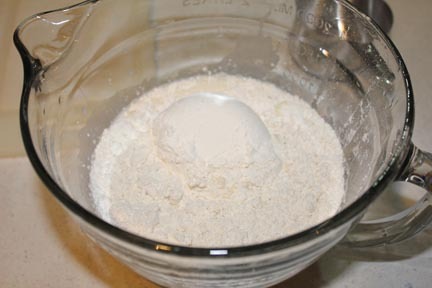 In a food processor, combine the flour, sugar, baking powder, baking soda and salt then pulse to combine. 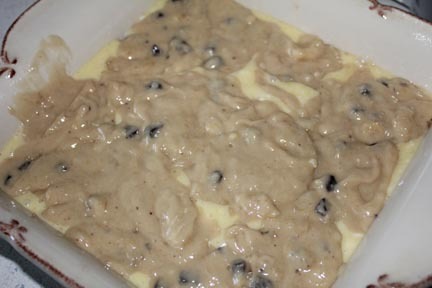 Add the chilled butter and process just until combined. With the motor running, add sour cream, buttermilk and rosemary, stopping just before the dough forms a ball. 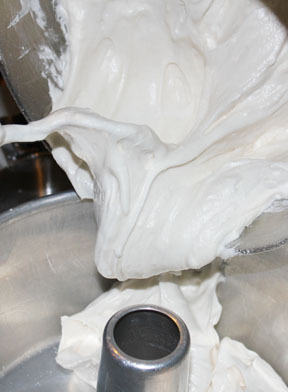 Turn the dough out onto a lightly floured sur face and gently knead, forming a smooth ball. Do not overwork. 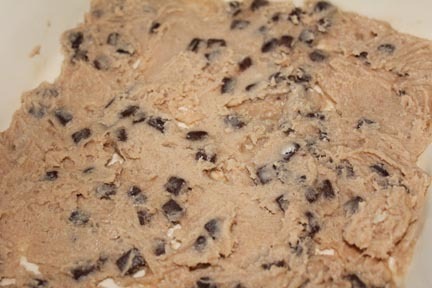 Roll the dough out to 3/4-inch thickness. Cut into desired shape using a biscuit cutter or a knife. 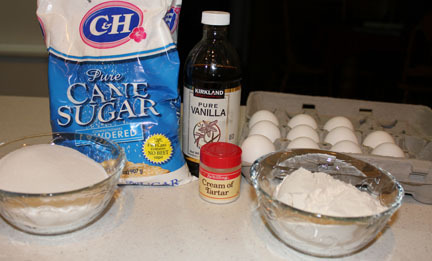 Arrange the biscuits on the prepared baking sheet; brush the tops with cream and sprinkle lightly with crystal sugar. Bake 25 to 30 minutes, or until the cakes are golden and firm to the touch. Cool on a rack. Meanwhile, prepare Balsamic Strawberries: Toss berries with balsamic vinegar, sugar and lemon zest in a large mixing bowl. Set aside. 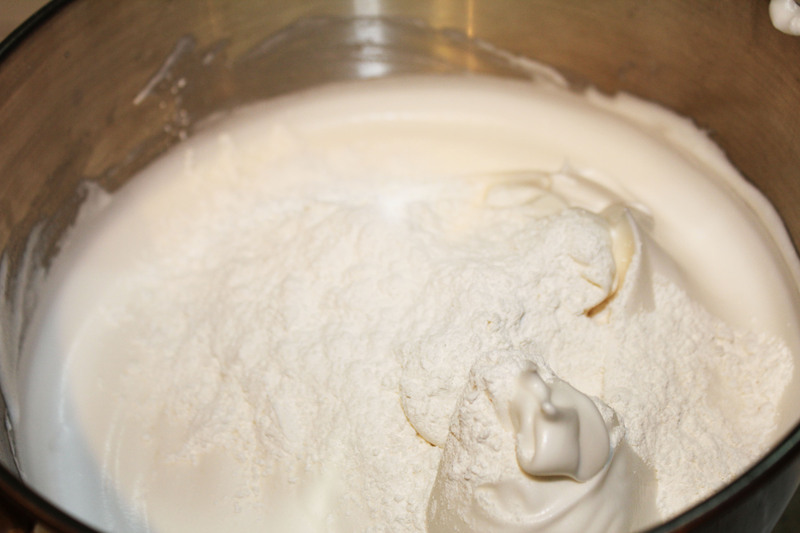 Prepare Honey Cream: Combine sour cream, honey and lemon juice in a small bowl. Set aside. 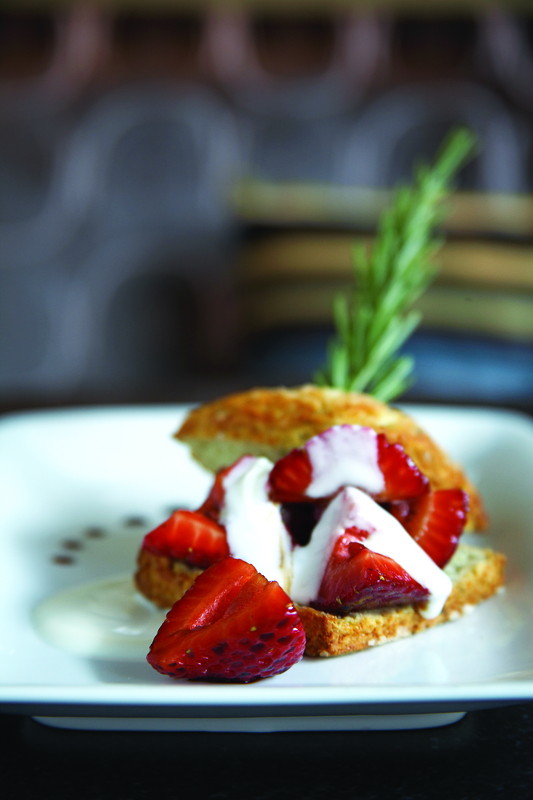 When ready to serve, split each shortcake in half and warm slightly. 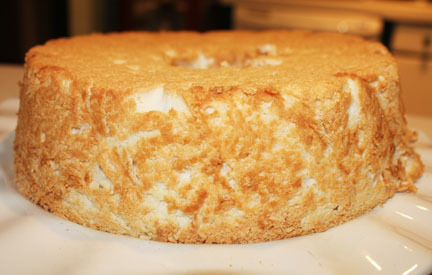 Place the bottom half of shortcake on a dessert plate. Spoon about 1/4 cup of strawberries on the cake and top with 1-2 tablespoons of the Honey Cream. 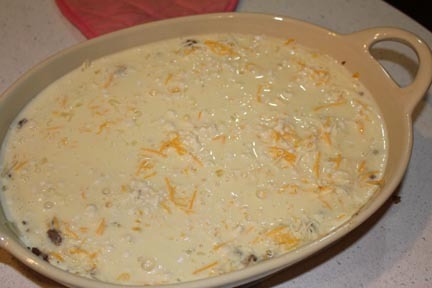 Top with the remaining half of the cake. Serve immediately. I’m super-excited today to share some great summer cookout tips from Jack Vogt, Tony Roma’s Pitmaster just in time for the summer barbecue season! Grill. If you already own a grill, drag it out of storage and give it a good scrub. Use a stiff wire brush to scrape off the grate and follow the directions in your grill’s instruction manual for cleaning the rest of the grill. If you’re new to the grilling game, check out this list of grills and smokers from AmazingRibs.com to help you find a grill that matches your needs and budget. Fuel. If you’re working with a gas grill, you’ll need to fill your propane tank. While you’re there, grab a spare. You never want to get halfway through grilling the perfect prime rib and discover you’re out of gas. If you have a charcoal grill, pick up a bag of charcoal briquettes, a chimney starter and a few pieces of newspaper to get the fire started. Grilling tools. Many stores sell BBQ or grill tool sets, but you can also buy each tool separately depending on what you already have at home. The most important tools to have handy are tongs, a spatula, a basting brush and a fork. You may also want to pick up a few metal skewers for kebabs (and everyone’s favorite dessert – s’mores!). Instant Read Thermometer. Using a meat thermometer will ensure your meat is properly cooked – no one wants their guests to leave with a stomachache. A thermometer will also help you gauge when to pull the meat off to avoid an overcooked, dry dinner. Flashlight or grill light. If you think your summer party will extend past daylight hours, you’ll need some direct lighting on the grill. You can buy a grill light that clips onto the side of the grill so you can work hands free. If you’re using a flashlight, enlist a friend to assist you. Now that you’ve got the grill prepped, here are a few of my tested tips to make this summer’s cookouts the most successful (and delicious) yet! Choose the best cut. The best cut (and type) of meat may depend on your budget and the number of people at your party, but these three are my favorites. Baby back ribs are the most tender cut. While they are one of the pricier options, this cut is sure to please your guests. You can start cooking ribs before your guests arrive and finish them on the grill when you’re ready to eat. Chicken breasts, legs and thighs are all great options if you’re feeding a group. Chicken is less expensive than ribs and it is easy to cook (read: hard to mess up! ), so it’s a good choice if you’re a grilling novice. Beef skirt steak may have a bad reputation as a tough cut of meat, but it can be real crowd pleaser when cooked on the grill. Plus, it can be cooked quickly (about four minutes on each side) so you won’t have to worry about keeping hungry guests waiting. Marinate to perfection. Marinades are used to enhance the flavors of your chosen meat and your marinade options are almost limitless. Most marinades consist of a fat (like olive oil), an acid (like citrus or wine), and flavoring (herbs and spices), but as always, there are exceptions to this rule. Whether you are making your own marinade or using a prepared one, you’ll want to make sure you give the meat enough time to soak up all the flavor. If you’re working with seafood, a short marinating time is best; an hour or two is plenty of time to infuse seafood with flavor. You can soak hard vegetables anywhere from 30 minutes to two hours and softer vegetables for about 30 minutes. You have more leeway when it comes to meat, which can be marinated anywhere from one hour to overnight (which may be the most convenient if you are planning a party for a lot of people). Keep in mind that the thinner the food is cut, the less time it will need to marinate. Marinades that are high in acid also require less time as the acid breaks down tissue and can toughen the meat if left to soak for an extended period of time. 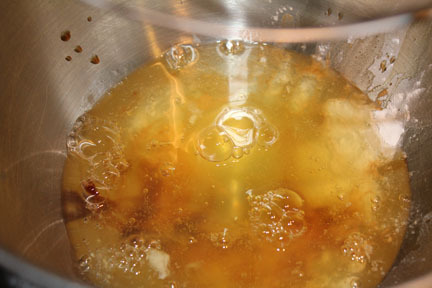 Safety tip: Don’t ever reuse a marinade as it can contain harmful bacteria. Seasoning is everything! You may think that since you’ve already marinated your meat, you don’t have to worry about seasoning, but think again! 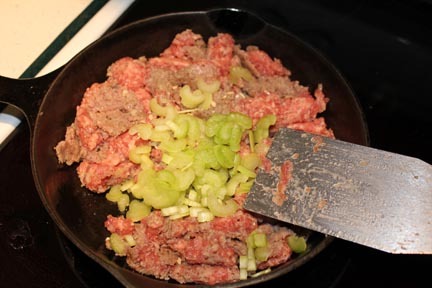 Seasoning with salt and pepper will help bring out the flavors you have infused into the meat. Even if you decide to skip the marinade and go with a dry rub, you still want to make sure you include salt and pepper. Pre-cook meat. Before your guests arrive, heat the meat most of the way so all you have to do is finish on the grill. You can also purchase pre-cooked ribs, pulled pork or chicken at your local supermarket. Easy to prepare and ready to serve in about 15 minutes, they’re the perfect option for entertaining, plus you’ll have more time to socialize and more room on the grill for other dishes. Maintain the correct temperature. 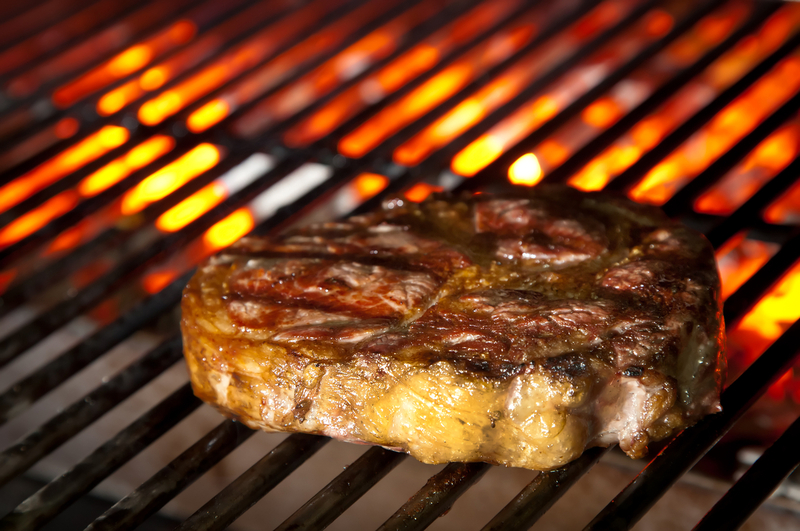 Cooking your meat to the proper temperature can mean the difference between a juicy steak and a dry one. Use your grill’s lid and vents to help you control the temperature. The difference between using your grill’s lid and leaving it open is like the difference between oven and stovetop cooking. The lid is useful in trapping not only heat, but also smoke and flavor. If you don’t use the lid, you’re only cooking from underneath, which is preferable for thin foods, but not for foods that are more than ¾ inch thick. Basic rule of thumb: If the food is thin or you need to watch its color, leave the lid off. If it’s over an inch thick, close the lid and use a high quality grill thermometer. The key to successful grilling is to remain in control of the heat. It’s also important to remember that the charcoal or wood is not the only fuel- oxygen also plays a role. Grills have an intake vent and an exhaust vent, and by manipulating these vents you can control the temperature. The intake damper brings oxygen to the fire, and the exhaust damper helps the intake vent do this, while also allowing gases to escape. Below are a few recipes to cook on the grill this summer! 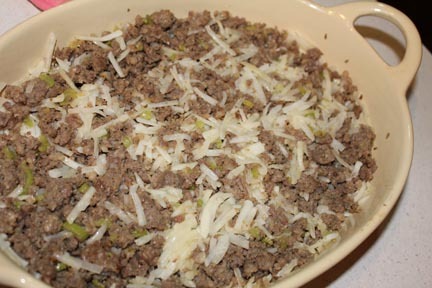 Place sliced onions into a 6-inch square piece of tin foil, drizzle with olive oil and salt and pepper, to taste. 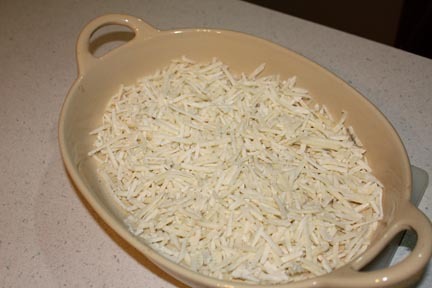 Close foil around onion slices. Set foil packets on lower rack of a gas grill or directly on top of hot coals on a charcoal grill. Cook for 30-35 minutes. While waiting for the onions to caramelize, heat Tony Roma’s Pulled Pork as per package instructions. Butter both sides of each slice of toast. 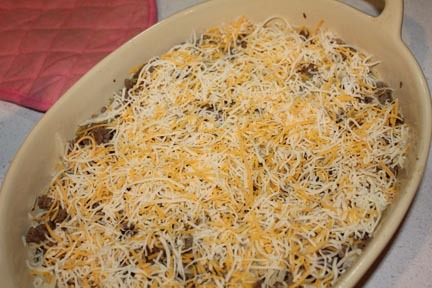 Layer each with one slice of cheddar cheese, ¼ cup macaroni and cheese, ¼ cup pulled pork, ¼ cup caramelized onions, and one slice of Gouda cheese. Working in batches of four, cook the sandwiches until the cheese melts and the bread is golden, about 5 minutes. 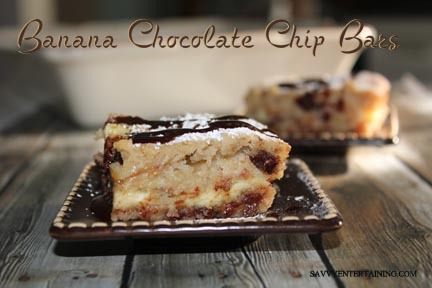 Drizzle with barbeque sauce and enjoy! 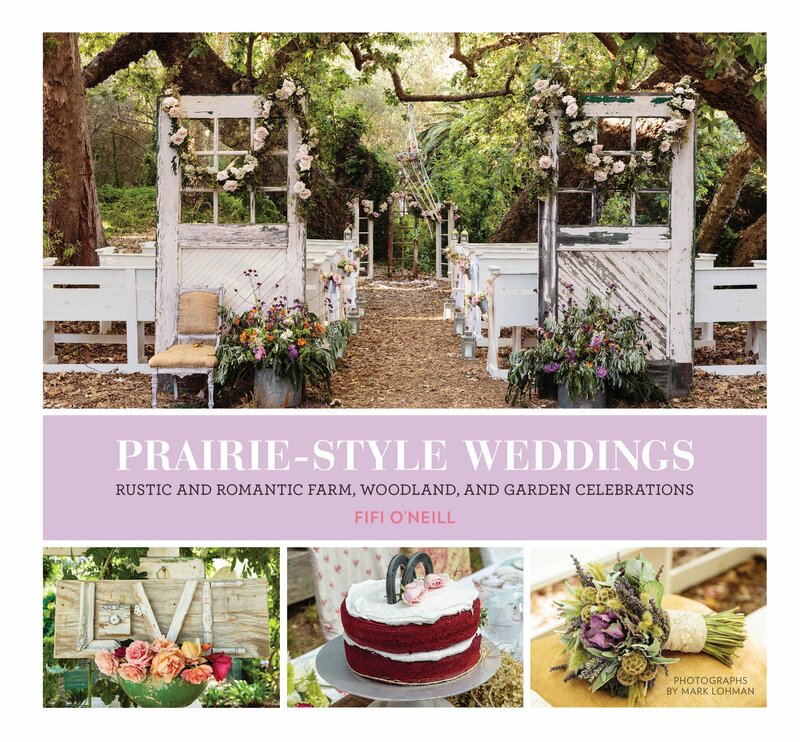 Prairie-Style Weddings (Rustic and Romantic Farm, Woodland, and Garden Celebrations) by Fifi O’Neill makes me want to rush outside and start planning a grand party. Bestselling author Fifi O’Neill has earned a reputation for her unique development of prairie style. As an executive editor overseeing several successful, magazines including her latest, Prairie Style, The New American Country, she’s known as a talented stylist who often creates prairie style editorial for dozens of other publications. Working with talented photography Mark Lohman, O’Neill created a book that is not only gorgeous, but packed full of marvelous, creative notions. Each page holds a treasure-trove of ideas, pops of color, and a definite romantic feel. Talk about clever – who would have thought to make a chandelier out of vintage silverware and candles? And I want every single plate in the top photo on the right! 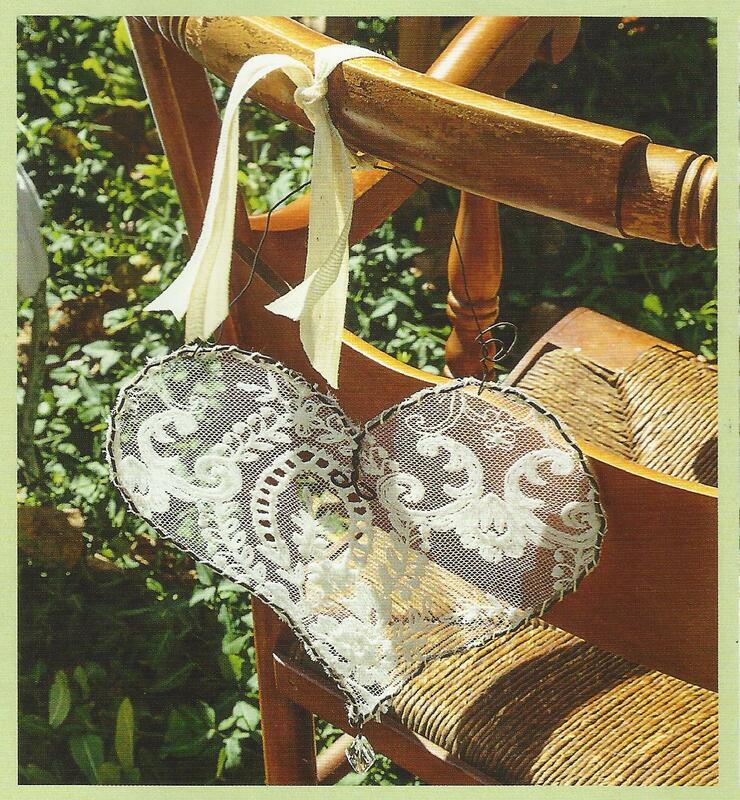 How fun are these chairs for a newlywed couple? Seriously, there are just pages and pages of unforgettable style. I absolutely love this idea! I can’t even begin to tell you how every girly cell in me screams out to jump into the photo and attend this celebration. 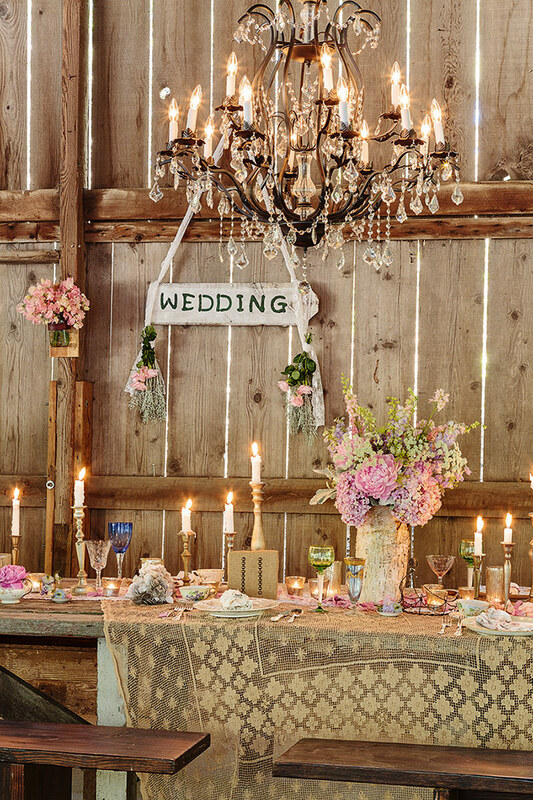 The soft pastel colors, the lace, the candles and the chandelier combine for a perfect ideal of romance against the rustic barn setting. If you are a romantic at heart, love beautiful photography, or host parties, this book is a great selection to add to your collection. Especially, if you’re planning a wedding! Available from Chronicle Books, the book can be found at Amazon and other retail outlets. 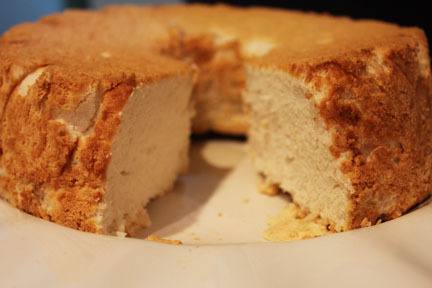 My niece makes a mean angel food cake. When I incorporated “angel cake” into the soon-to-be-released Thimbles and Thistles, I begged her for the recipe and she willingly shared. 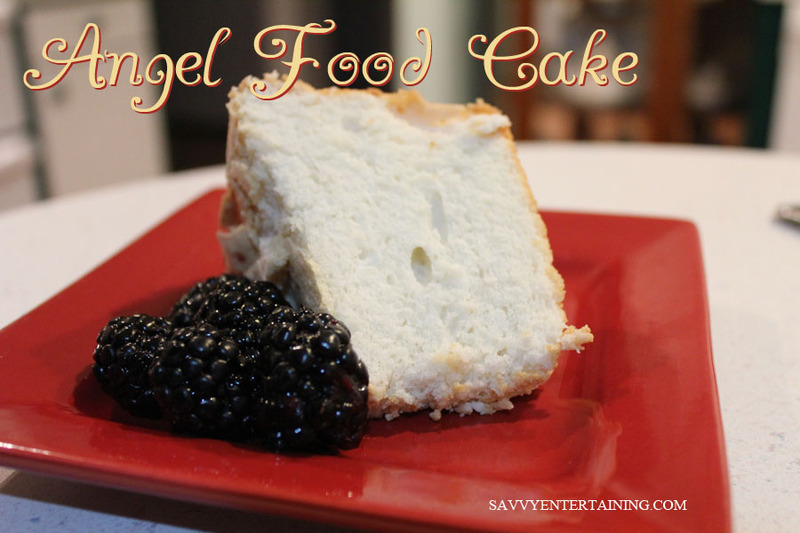 If you’ve never had homemade angel food cake (as in completely from scratch) – the effort is worth it! You need about nine to 10 eggs, separated. 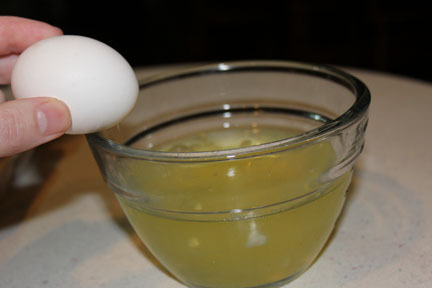 Let egg whites come up to room temperature. While the eggs are warming (or is it chillin’) sift powdered sugar and flour together. Alternate the two in your sifter – it comes out beautifully. 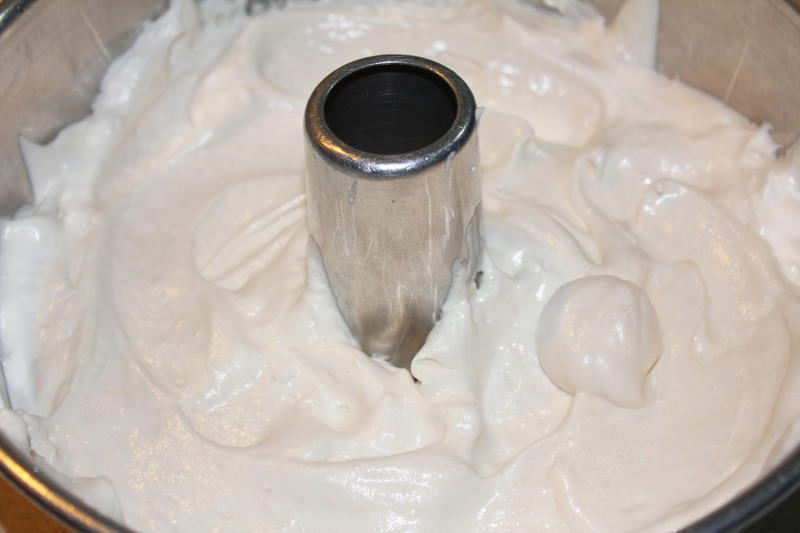 Once egg whites are up to temp, mix with vanilla and cream of tartar until soft peaks form. Blend in granulated sugar until stiff peaks form then gently fold in flour mixture. Spoon into a tube pan. And bake in 350 degree preheated oven. 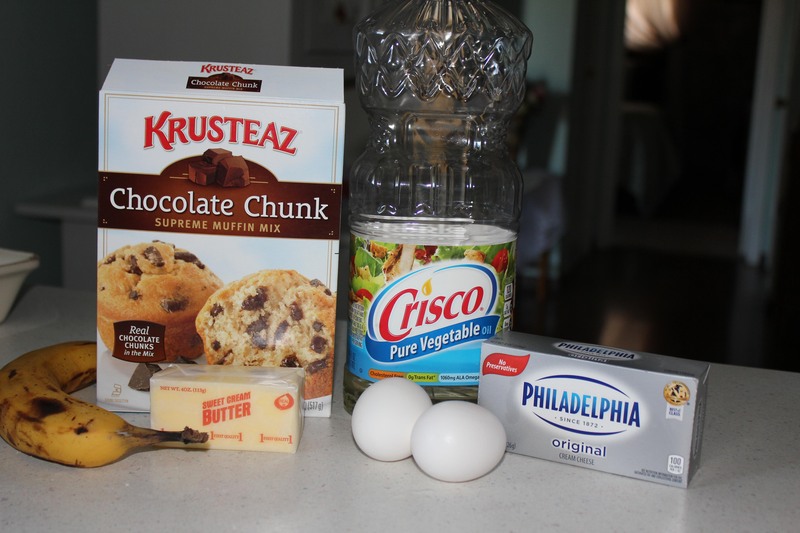 Remove when golden brown and cool completely. 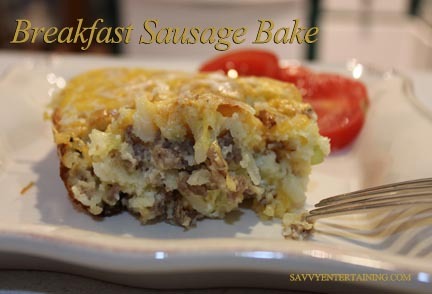 Run a knife around inside of pan to loosen edges then insert onto a serving platter or cake plate. Yum! Don’t you just want a piece right now? 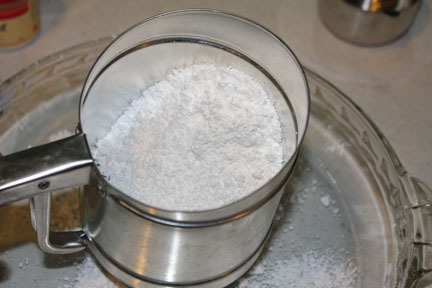 Sift powdered sugar and flour together three times (Alternate the flour and sugar when putting it into the sifter. It makes sifting easier). 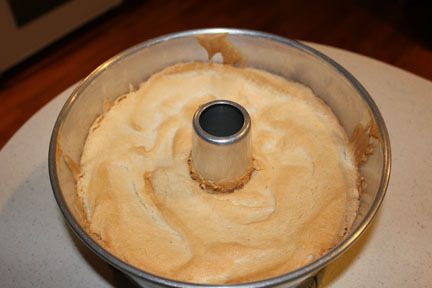 In large bowl beat egg whites, cream of tartar, and vanilla, with an electric mixer on medium speed until soft peaks form. 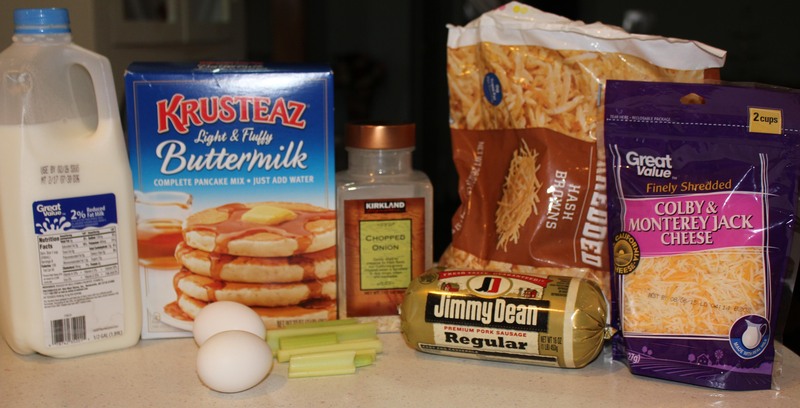 Gradually add sugar about 2 tablespoons at a time, beating until stiff peaks form. 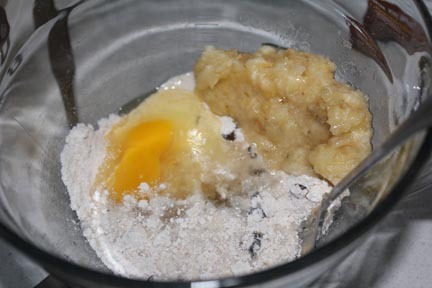 Sift about 1/4 of the flour mixture over beaten egg mixture; fold in gently. 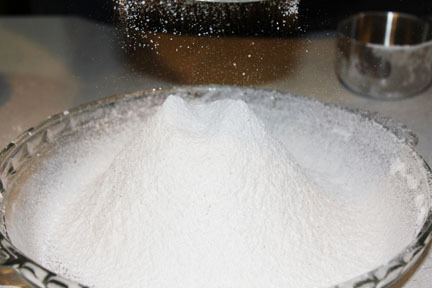 Repeat folding in remaining flour mixture by fourths. 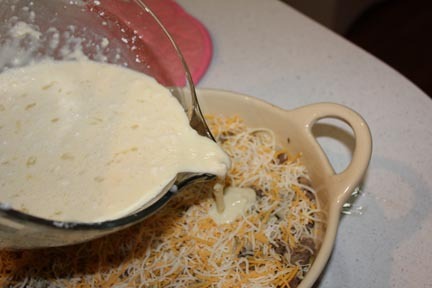 Pour into an ungreased 10-inch tube pan. Bake on lowest rack in oven for about 40 minutes or until top springs back when lightly touched. Immediately invert pan and cool completely, about an hour. Slide a knife around the side and center of the tube pan. 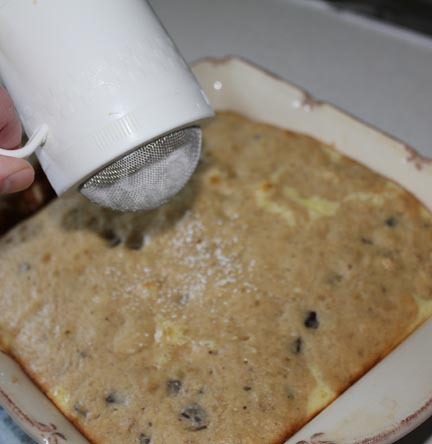 Remove cake to a serving plate. Garnish with berries and whipping cream, if desired. Yield: approx. 8-10 servings. Remember I said yesterday I had exciting news to share…. I’m so pleased and honored to be a part of this fun book, out just in time for Valentine’s Day! 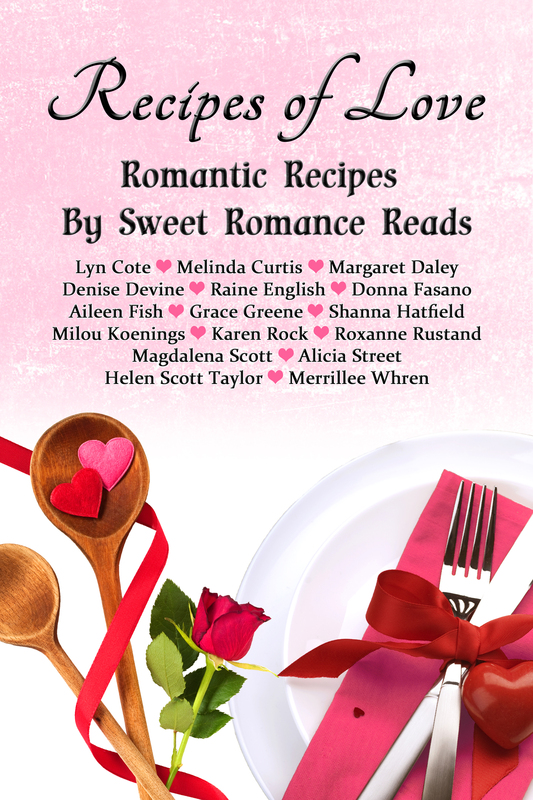 The book offers more than 60 recipes and snippets of stories by sixteen of the award-winning authors of Sweet Romance Reads. If you turn to my section in the book, you’ll find recipes made by Haven Haggarty for Brody Jackson in Love at the 20-Yard Line, along with an excerpt from the story. 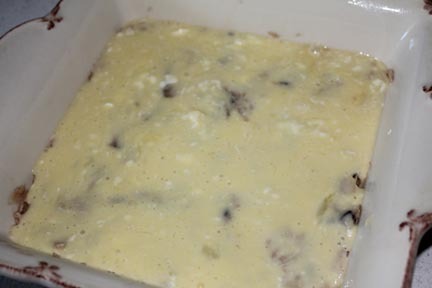 Recipes include everything from Filet Mignon to sugar cookies and fudge. The ebook is only 99 cents! And where can you find the book chock-full of recipes and stories, you ask? It will also be available in paperback very soon! If you haven’t yet, you might like to sign up for the Sweet Romance Reads newsletter. It comes out just a few times a year, but it features some special short stories. 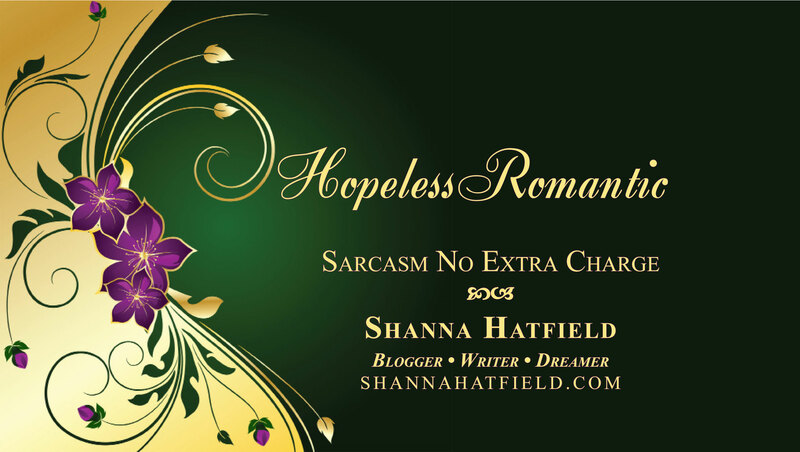 I might even have contributed something for the Valentine newsletter… Here is a link: http://www.sweetromancereads.com/ It’s easy to sign up – just scroll down the page until you see “Mailing List” on the right hand side. Enter your email and then confirm. You’re all set! Just for fun, I’ll give away two copies of the book to anyone who leaves a comment on my facebook page today. You can leave any comment you like – or tell me if you have a favorite Valentine recipe.